Also known as the glass anemone, its name will not really fill you with fear to drive you to action to get rid of it. Maybe you even like its appearance and you want to wait to see how it develops and if it’s really that harmful? Let me stop you right there. 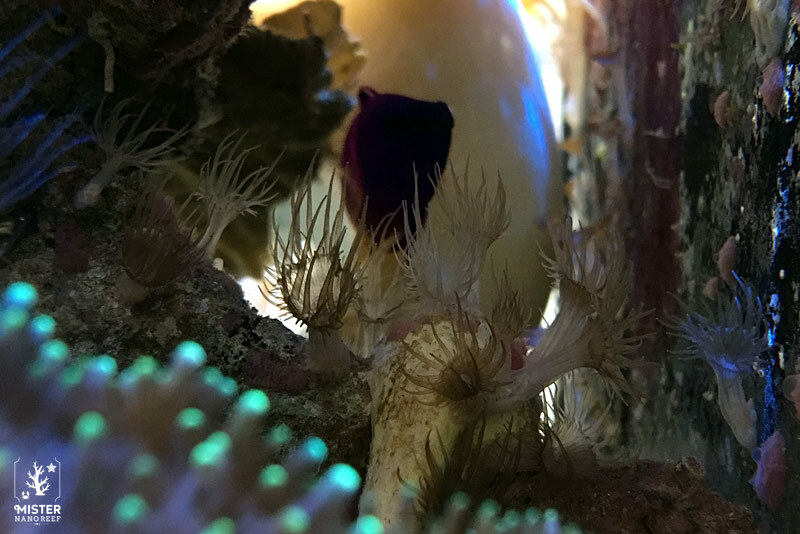 As my curiosity got the better of me and I decided to see if it’s really that bad… the back of my tank quickly became an aiptasia infestation. And although “kill it with fiiire!” is one of my all time favorite taglines… it is hard to apply it here. So, how SHOULD you deal with it and what is the best way to get rid of aiptasia? Let’s take a closer look. My yellow clown goby once was stung by one and had a bump on its nose for a week. But the worst is the damage they cause to corals, mostly sps. They can kill an entire colony in a matter of days. So yeah… “kill it with fiiiire!”. Make your pick! First of all, if you see one popping up, get rid of it immediately, as it is a lot easier to kill 1 instead of 100’s as that is what will happen when it starts its explosive growth. Whatever you do, DO NOT CUT it as this will result in a ton of extra aiptasia in a later stadium. 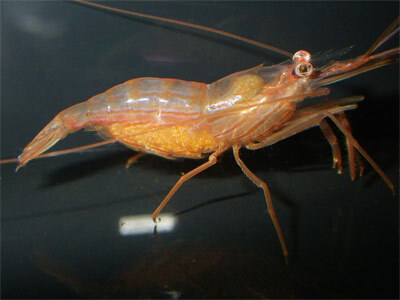 peppermint shrimps: if you’re into nano reefs like me, you don’t have a lot of place for bigger fish that can help you out with aiptasia. In this case, peppermint shrimps are your best bet. The only problem with them is that some seem to like it and others don’t, so you’re never really absolutely sure if they will eat it until you put them in your tank. Take at least 2 if you’re going for this option. 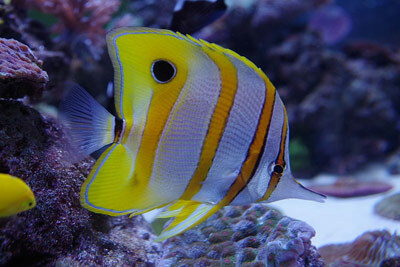 Copperband butterflyfish: if you have the space to put bigger fish (this one needs a tank of about 125 gallons), you might want to check this one out as a countermeasure for aiptasia. But, as with most butterflyfish, there’s always a risk to some extend that later on when all aiptasia is gone (although they are never really completely gone), it will turn on your corals. 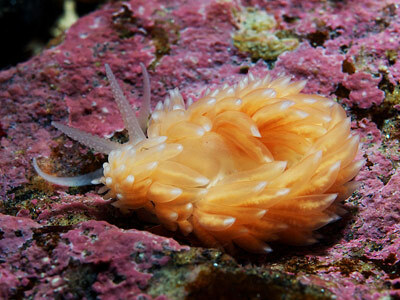 Berghia nudibranch: another natural option you might consider. These small snails aren’t the cheapest and you will have to get 5 or 6 to build a population. They also don’t really eat fast, so it is mostly meant as a long term solution and to prevent aiptasia from coming back. 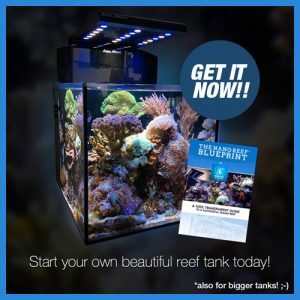 As they can be a tasty snack for some crustaceans or fish, make sure they are compatible with your other tank inhabitants before spending the money. 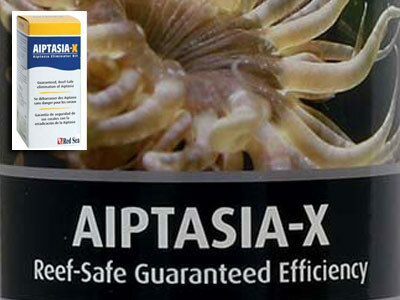 Red Sea Aiptasia X: probably one of the most effective products out there. Note however that it’s an effective way to get rid of aiptasia if you only have a few in your tank, but if you have to use this product on 100s of aiptasia, you might want to consider a more “passive” option like livestock as you will need to treat every single aiptasia separately. Nevertheless, it has proven to work well without any side effects so it’s good to have this in your home when the first aiptasia pops up. Glue: simply put some glue or epoxy putty over the aiptasia so it doesn’t have a chance to grow further. White vinegar: another cheap and effective way is to take some white vinegar and inject it directly into the aiptasia. You could even add some Reef-Roids to the mixture as this will fool the aiptasia into taking in the vinegar so you have a higher chance of killing it. Hot boiling water: if you have some extra time, try this: Boil some RO water and use a small hose to get the hot water directly onto the aiptasia. Do this for some time and you will boil the aiptasia to death. Not my favorite way as this can take some time, but it sure is the cheapest way. High strength laser: Yup, you could actually use a high strength laser to burn the aiptasia without making your hands dirty. Just point the laser from outside of the tank onto the aiptasia and “kill it with laaaasers!”. Be sure to protect your eyes and watch out for surrounding livestock, as it does involve some risk so please take the necessary safety measures. That’s it! Do you have some other effective ways to kill aiptasia or you would like to add some comments ? Please let me know below in the comments section and I will be happy to get back to you asap.